I'm not going to lie, the title of this post may be a little mis-leading but no matter how I spin it, writing a post about what I wear to cover up my nuts is never going to be something I have practice in or will be something I do often. And so thinking of a fitting title was quite a hard thing to do because the post subject was so different for me. Plus there was the fact that I just couldn't see me being able to have a full post worth of opinions about them - I mean every pair I've owned throughout my life so far kind of do the one same job. Of course, they may look a bit different, they may feel a little different and the quality of them will most likely range depending on the brand and the price of them. Anyway, undie talk, here we go. I have to say, I'm honestly not too bothered about what I wear under my trousers, joggers or shorts at all - it could be a pair of Calvin Classics from the local market or a pair of authentic Apparel from Primark - they serve a purpose and if they do their job that is fine with me. 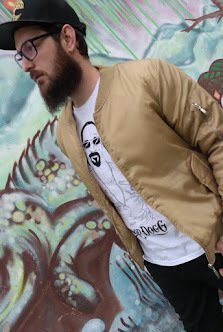 ...you will know that I am quite passionate about wearing independent labels, especially ones that are up and coming and not a lot of people have heard of them before. I like to be a little different in the things I wear and judging by the interaction these posts get I think a lot of my readers enjoy that style of clothing too. Probably because people like to learn, to discover, to see new things they haven't spotted before and then if they find it and think it looks good, well they naturally want to find out more. I'm a little bored and past people who only wear established branded clothing anyway - there's nothing wrong with it but it's just not really me. I do own a few expensive branded clothes but not many - and most of the things I do have are about twenty years old and were purchased back when I was a single lad. But, yeah, independent labels are where it's at for me right now and others with similar tastes are the types of individuals I want to make it a mission to seek out and follow. 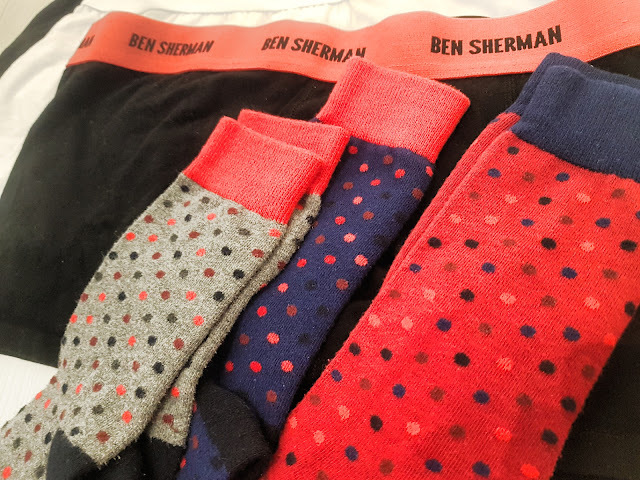 A couple of weeks before Christmas the guys over at Body Branded sent me over a selection of Ben Sherman socks and boxers and wanted me to post my thoughts about the items here on my blog. I know, I know - I thought the same too, "new socks and undies before Christmas? What on earth could my family buy me now?!" Wise up Carl, you're 35 now - you can never have enough socks and undies...good job really as it's the only gift I get these days. So, Body Branded started out as just an idea - an idea to provide underwear from some of the most iconic brands online. They have a vast range of different products to which they are always refreshing and adding more lines to too. Like I said, I'm not too fussed about branded clothes these days and the last time I wore anything Ben Sherman was years ago and I think it was a shirt, which if I remember rightly, I teamed with a nice Petroleum jumper from the local Jean Junction store. But now I have it and gave sampled it, how does the Ben Sherman gear compare to my normal, very cheap and cheerful undercrackers? Well, you can definitely see and feel that they are made of a better quality material and the shaping is a lot better too...which is something you kind of expect with the higher price tag I think. They feel a whole lot better whilst wearing them to the others too, even taking into account they are a little tighter fitting than the normal ones I wear, despite both being the same size. 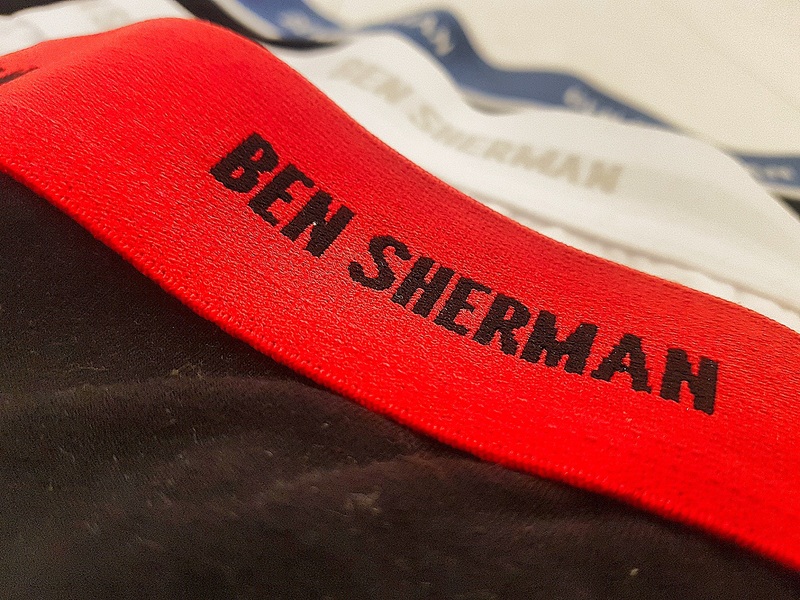 I've found that they feel better on too when I'm working in them, bending over and reaching to fit things - no builders behind showing here and now, rather than the usual Calvin Classic sign covering my arse crack there is a much better looking Ben Sherman one in it's place. All of the items were a really nice fit and will be getting worn on a regular basis too. I will 100% be heading to their website when I'm in need of some more undergarments that's for sure.